Temptation, rare Frogman Bronze sculpture. 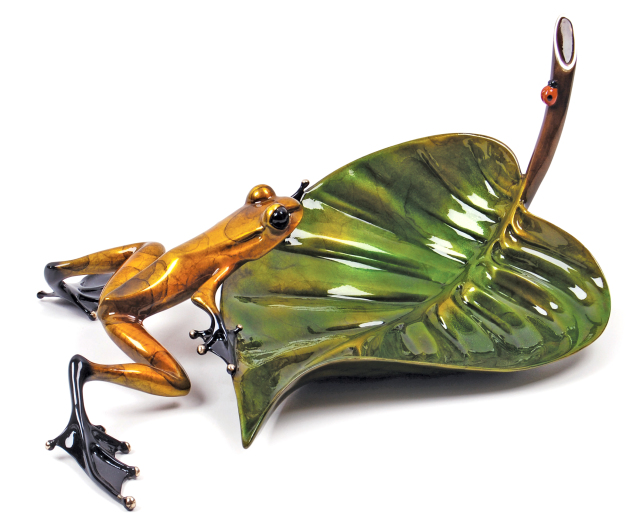 An exquisite Frogman Bronze, the light gold Temptation rests on a leaf bowl in deep green patina. Look closely and you'll see a little ladybird accompanying this special frog bronze. Available in the UK from Westover Gallery for the very first time, how can you resist the lovely Temptation?